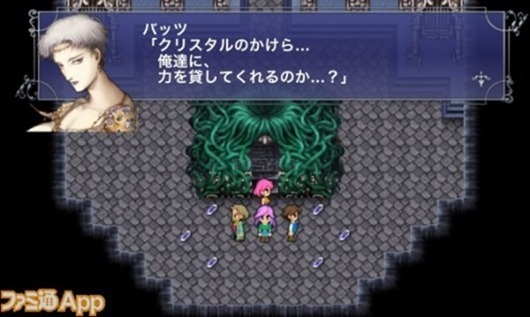 Final Fantasy V is headed to iOS and Android devices in Japan before the end of the month, and although there’s no word on the official release for fans residing in the United States, it would seem likely to follow shortly thereafter. Final Fantasy is a long-standing RPG, and having gained immense popularity on the original PlayStation, has continued to flourish on subsequent platforms. It’s one of the growing number of classic titles to have made the transition to mobile space, and although developer Square Enix has kept with a price structure rather more reflective of those PlayStation days, that hasn’t stopped fans forking out well in excess of ten dollars a pop to enjoy numerous Final Fantasy installments on their smartphone and tablet devices. The company behind the famed franchise remained tight-lipped on release for those outside of Japan, but with quite a large FF following in the U.S. and beyond, one would cautiously forecast an April release date for many other parts of the world. Then again, as Joystiq points out, past Final Fantasy titles received simultaneous worldwide release, so it’s certainly not beyond the realms of possibility that we could see Final Fantasy V drop in the U.S. at the same time as Japan. With a price tag of around $19, it’s not the kind of title you’ll be casually picking up and playing whenever you feel like. While that sum may seem steep to some, however, die-hard fans will have become accustomed to paying these kinds of prices, and with such an extensive storyline, many see Final Fantasy releases as good value. Whatever your stance on the pricing may be, we’ll keep you guys updated with any solid news regarding the U.S. release date, so stay tuned!